Zimbabwe cricket team will take to the field against United Arab Emirates (UAE) in their first One Day International (ODI) of the four-match series on Wednesday. 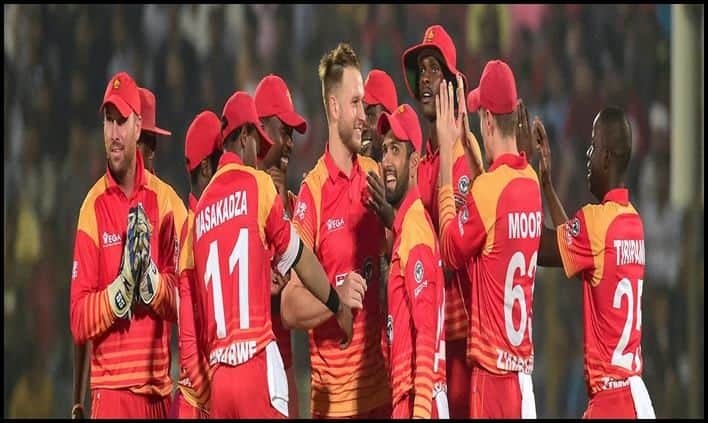 In what will be their maiden fixture since their failure to qualify for the ICC Cricket World Cup 2019, Zimbabwe will take to the field against UAE on Wednesday. While this is the first fixture for Zimbabwe in the current calendar year, UAE cricket team have been busy as they began their limited-over series against Nepal against whom, they suffered defeats in both ODIs and T20Is. Following that, they got back to winning ways against the United States of America 1-0. When to watch the Zimbabwe vs United Arab Emirates 1st ODI cricket match? The Zimbabwe vs United Arab Emirates 1st ODI will take place on April 10th, 2019 (Wednesday) at 1:00 PM IST. Where will the Zimbabwe vs United Arab Emirates 1st ODI match take place? The match between Zimbabwe vs United Arab Emirates 1st ODI cricket match will take place at the Harare cricket ground. Which TV channel will broadcast Zimbabwe vs United Arab Emirates 1st ODI cricket match? Star Sports has the broadcasting rights for the Zimbabwe vs United Arab Emirates 1st ODI match. Where to watch the Zimbabwe vs United Arab Emirates 1st ODI cricket match? The Zimbabwe vs United Arab Emirates 1st ODI cricket match will be available on Hotstar. Conditions: According to ICC, Only thrice in the last 10 first innings at Harare Sports Club has the score exceeded 250. Conditions are expected to be sunny for the most part.